SALE! Designer Radiators From Bisque – Up To 70% Off! We’re updating the showroom with some fabulous new displays and as such have a selection of designer radiators from Bisque for sale on a first come first served basis. All sale radiators have now been sold. 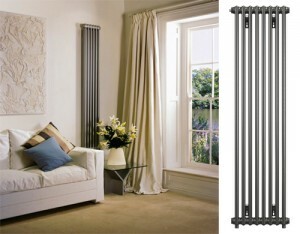 Please call or visit the showroom to view the new range of radiators now on display. RRP 1200 + vat – Sale price £499 + vat each. Two available – perfect for feature walls in bedrooms, lounge areas and kitchens. RRP £499 + vat. Sale price £199 + vat. A fabulous radiator that will never go out of fashion in on trend ‘Anthracite’ finish. Perfect for any room in the home. RRP £1337 + vat. Sale price £499 + vat. Towel raditor – perfect for the bathroom and kitchen. Shown here in a wet room. Keeps towels toasty warm and fluffy in the winter. 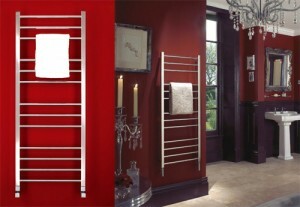 ‘Hot Hoop’ Towel Radiator In Stainless Steel Mirror Finish. RRP £2117 + vat. Sale Price £995 + vat. The Hot Hoop is the ideal statement piece for the bathroom. 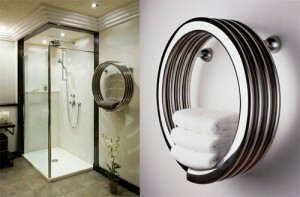 Perfect to keep towels warm and add a fabulous piece of design to the bathroom. RRP £339 + vat. Sale Price £229 + vat. 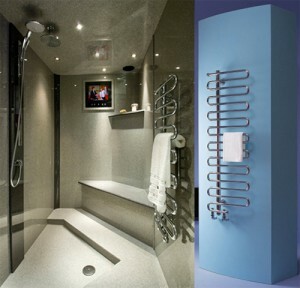 Towel radiator perfect for the bathroom or kitchen area. Classic looking radiator with clean lines and beautiful mirrored finish. Find out more about how to choose the perfect designer radiators from Bisque. For more information please call Langley Interiors on 01204 525432 or better still visit the furniture showroom Bolton. 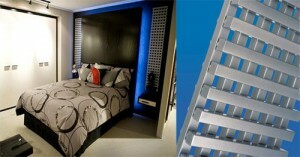 We also offer FREE no obligation design appointments for the whole home. To reserve any of the sale items, we will need a small deposit. Strictly first come first served basis. 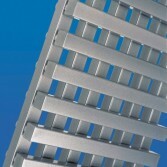 Radiators do not include valves or installation, but can be arranged on your behalf.